A new week rolls around and someone asks you how your weekend was… as if they didn’t see your 3 different Burning Man instagrams, your eponymous Facebook album, and deluge of snaps? What an ungrateful follo- I mean, friend. (note to self: unfollow Steve). Digital addiction isn’t all hashtags and LOLs, however. The results are in and Instagram has the highest risk of damaging the mental health of our youth. This survey of 1,479 young adults ranging from 14 to 24 years in age, found that the social media was a place to be a positive space for expressing and identifying the self, but conversely and concurrently negatively impacted body image, sleep habits, and anxiety levels. Social media is most likely to affect its ardent teen user base, yet the surge in mental health issues amongst the same cohort is rarely addressed due to stigma around the topic. Another question to be raised is how far does self-expression stretch before it is unhealthy? This same demographic feels “panic stricken and physically sick” if s/he foregoes posting umpteen selfies on Facebook. In a related study, brains scans of high frequency Facebookers yielded gray matter that looks as though it were affected by cocaine. Yup. This essentially states that Facebook is as addictive as cocaine. When you abuse substances they eventually abuse you. Facebook overuse is now being correlated to the negative outcomes of drug and alcohol abuse. Typically, Facebook overuse begins to affect daily activities adversely: work, school, relationships with family and friends in an analogue setting. There are ways to control excessive usage of Facebook. 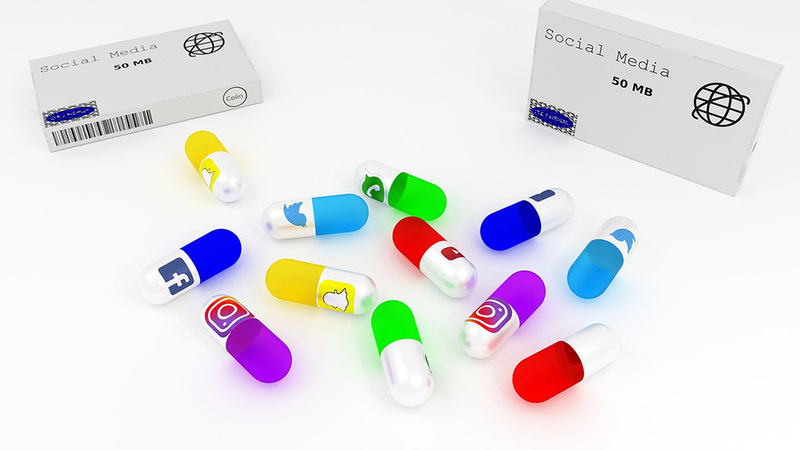 Psychological studies to combat social media addiction are being conducted especially because of the influx in news and articles of defamation as of late. Across an array of studies, one of the first steps to beating digital addiction is measure the amount of time spent on Facebook. Keeping a journal that acts as a time-log will shed some light on the extent of your problem. Often times, people then chose to limit themselves to certain times of the day or short windows where they are allowed to use the social media. THE SOLUTION IS DIGITAL WELLNESS.